Contains premium organic and wild-crafted: Lemon, Fennel, Coriander, Orange, Anise Seed, Basil, Rosemary Cineole, Peppermint, Spearmint, and Dill essential oils. 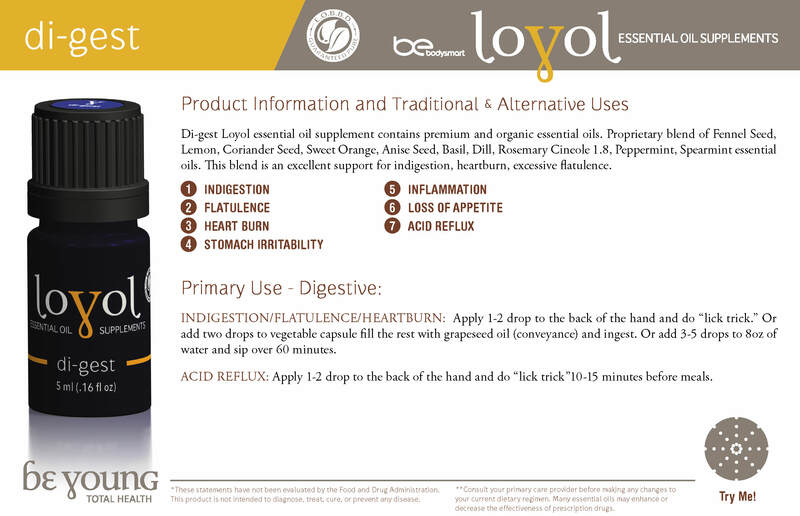 This exclusive blend was created to support the health and wellness of the digestive system. 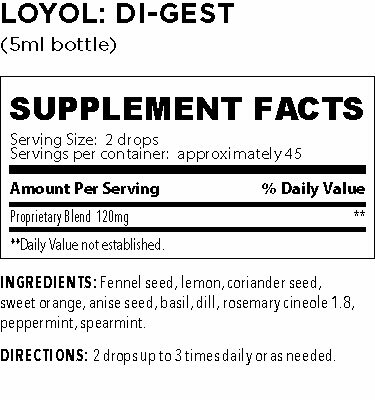 It consists of a symphony of essential oils which shine in their known abilities to support the digestive system and when combined, provide a synergistic effect to that end. We’ve brought together our premium, organic Lemon, Fennel, Spearmint, and Dill essential oils to bring you a beautiful aroma that assists in that healthy support. Unlike those chalky, sugar-ladened, nasty tasting options, you’ll find this sweet and spicy aroma to be void of the side-effects particularly that of creating an unwanted dependency or depleting your body of necessary hydration. Instead it performs efficiently within the digestive system of the body. Safe and gentle enough to be used daily—a.m. or p.m. to keep your regular, at every mealtime, or even in anticipation of a problematic evening. Enjoy! For other recommended uses and recipes please click on the image below.